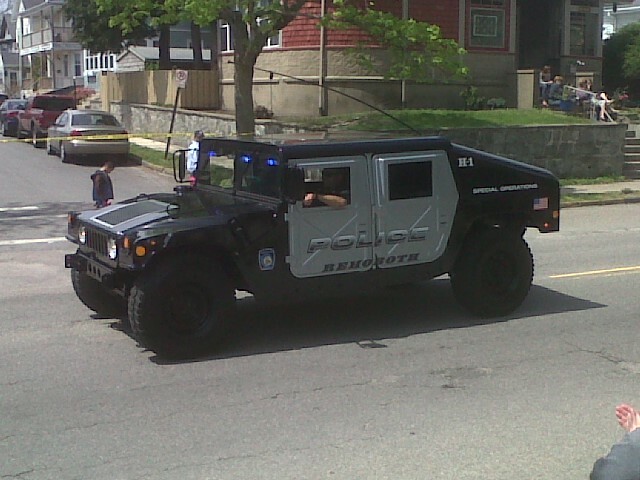 On Sunday May 3rd 2015 Rehoboth Police Officers Louis Dibacco and Jacob Miranda attended the 31st Annual Aquidneck Island Police Parade held in Newport RI. The annual event honors law enforcement officers who lost their lives in the line of duty. During 2014, there were 127 total law enforcement deaths in the line of duty with the average tour of duty being 12 years and 3 months of service. Agencies from around the nation to include New Jersey, New York, Connecticut, Massachusetts, Iowa, Illinois, Maryland, New Hampshire, Maine, Vermont ,Washington D.C. and International Agencies such as the Royal Canadian Mounted Police have commemorated these fallen officers with the Local and State including the United States Marine Corps Silent Drill Team which comes from the Washington, D.C. barracks to perform and commemorate those officers killed in the line of duty. 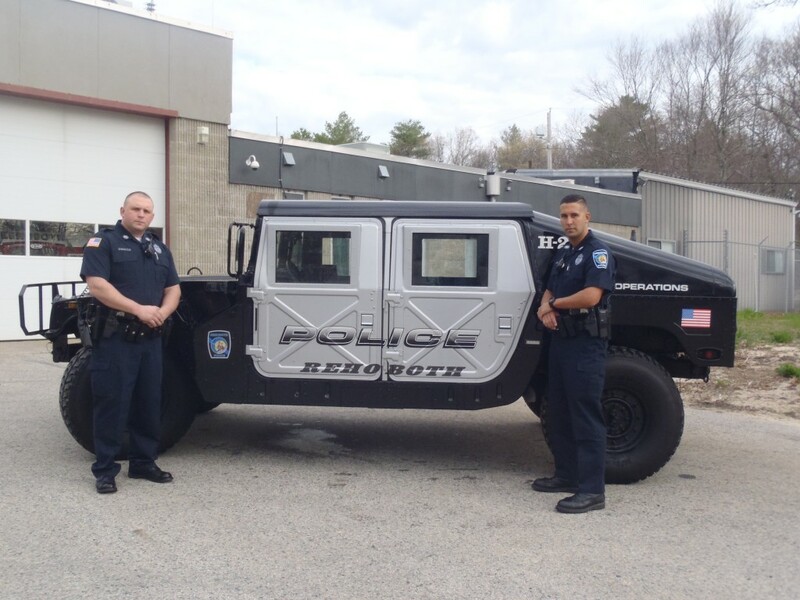 Officers Dibacco and Miranda represented the Rehoboth Police Department which included the entry of one of our recently acquired Humvee police vehicles.